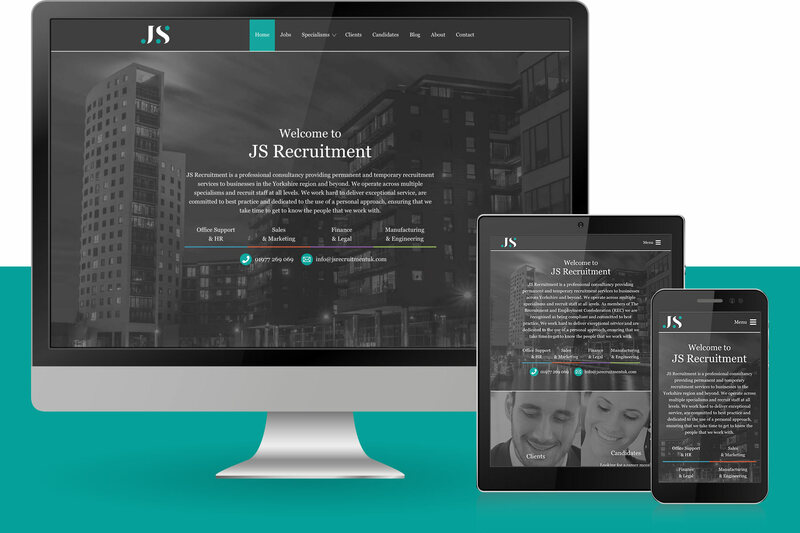 JS Recruitment approached us to update their corporate identity and online presence to better reflect the professional service they offer to their clients and candidates. We were asked to integrate the website with their existing CRM to save them time when posting vacancies and come up with a creative solution to sharing vacancies across their social media channels. The recruitment world is vast. The first challenge we faced was to improve the identity of JS Recruitment. We had a number of meetings with the client to develop their new brand and colour scheme resulting in a modern, professional appearance which stands out against their competitors. Time is critical for any business, especially for a recruiter where the task of adding vacancies to multiple job boards can be tiresome. Twilo integrated the new website with the existing CRM meaning JS could continue to post vacancies from one central location. 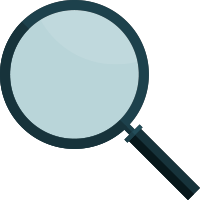 The website checks the CRM every 15 minutes to pull in any new or edited vacancies and the CRM is notified of any applications made through the website. 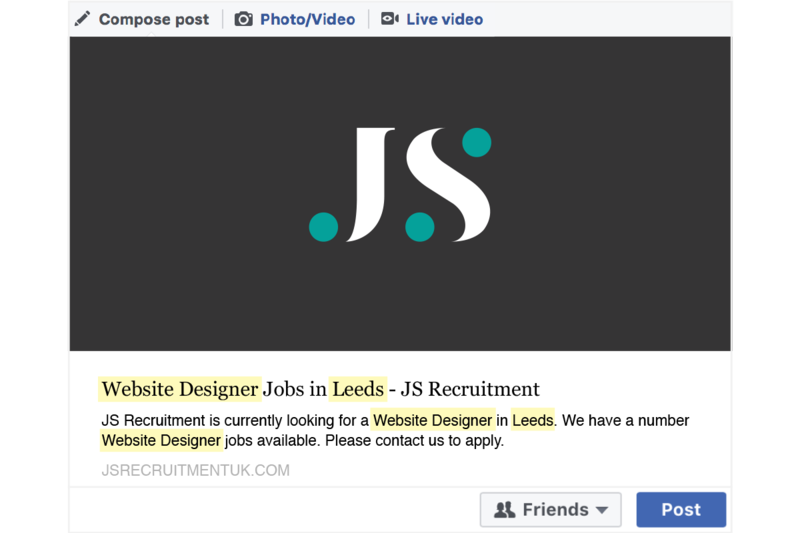 JS Recruitment wanted to expand their reach and share vacancies based on location to fit demand in specific localities, for example ‘Website Designer Jobs’ in ‘Leeds’. Our solution is a unique URL structure which also populates the relevant Meta and Heading Tags based on the user search. The result is a website with an infinite number of landing pages to be used in digital marketing campaigns. JS Recruitment can now share jobs directly from their own website rather than sharing links to the major job boards which is the case with most other recruitment agencies. 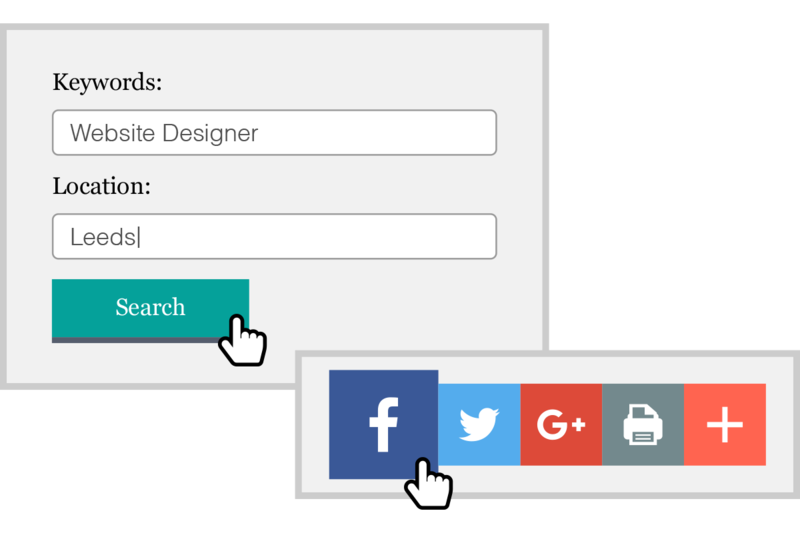 By customising the Open Graph Data based on keyword and/or location searches we are able to create infinite landing pages. This means JS Recruitment can drive traffic to custom job roles and territories, resulting in a website which caters for unlimited search landing pages.